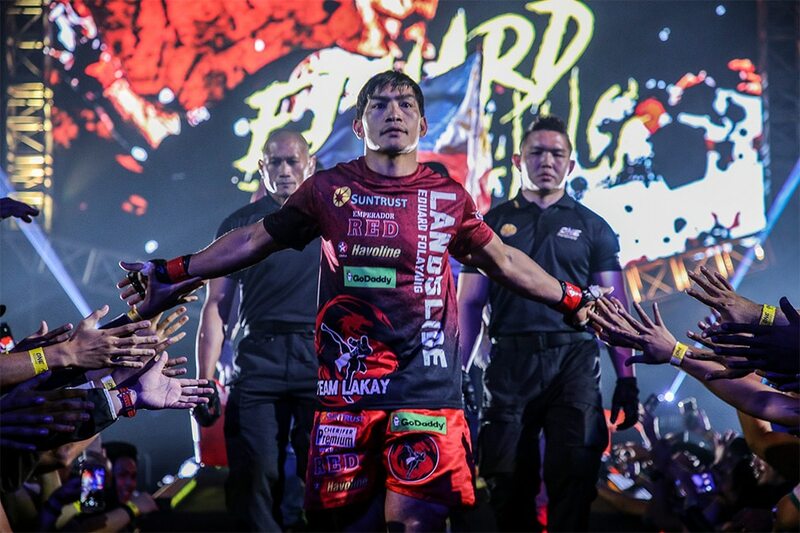 Time and time again, Eduard Folayang proves that a setback is a setup for a comeback. Widely regarded as the face of Philippine mixed martial arts (MMA), Eduard Folayang authored one of the most inspirational career comebacks in the sport’s history Friday night at the SM Mall of Asia Arena in Pasay City. The 35-year-old fighter recaptured the ONE Lightweight World Championship with a solid all-around performance against Singapore’s Amir Khan in the co-main event of ONE: Conquest of Champions. When cage barker Dominic Lau announced Folayang’s name as the new king of ONE Championship’s lightweight division, tears of joy trickled down the latter’s face and his eyes glimmered with fulfillment—which was not the case more than a year ago. Many pundits believed that it was the end of Folayang’s illustrious run in MMA when he fell into a horrendous nightmare that placed him in a seemingly impossible position to stage a comeback. Folayang suffered an excruciating defeat at the hands of featherweight titleholder Martin Nguyen in their November 2017 super-fight, which also took place in Pasay’s 20,000-capacity venue. That night, in front of a hometown crowd, Nguyen brutally knocked Folayang out cold with a lethal overhand right that landed square on the Filipino’s chin, costing the revered superstar from Baguio City, Benguet his coveted lightweight championship. Eduard Folayang breaks into Amir Khan's defense with his patented sidekick. As the world watched Folayang lying on his back motionless, a good number of people made the conclusion that it may very well be the curtain call for the celebrated Filipino fighter. Folayang admitted that it was the toughest juncture in his professional career, submitting into the thoughts of complete and dismal defeat. “After the knockout loss to Martin, it became very hard. That was a difficult one to get over. I thought I was done. The idea of giving up, the idea of retirement kept creeping up inside my head," recalled Folayang. As he was at a loss trying to address the heartbreaking setback, there was one instance that brought the fire back inside him. One ordinary day at home, Folayang glanced at his one-year-old daughter named Yeshuareigns who was playing with her mother Genevieve. Faced with the image of his wife and daughter in his humble abode, Folayang immediately knew what to do next. “I don’t want my daughter to see me as a loser. That was my motivation. I want her to be proud of me because I stood back up and fought again,” he shared. With a professional record of 21 wins and six losses, Folayang’s prizefighting stint can be best described as a rollercoaster ride, reaching the highest of highs and diving to the lowest of lows. 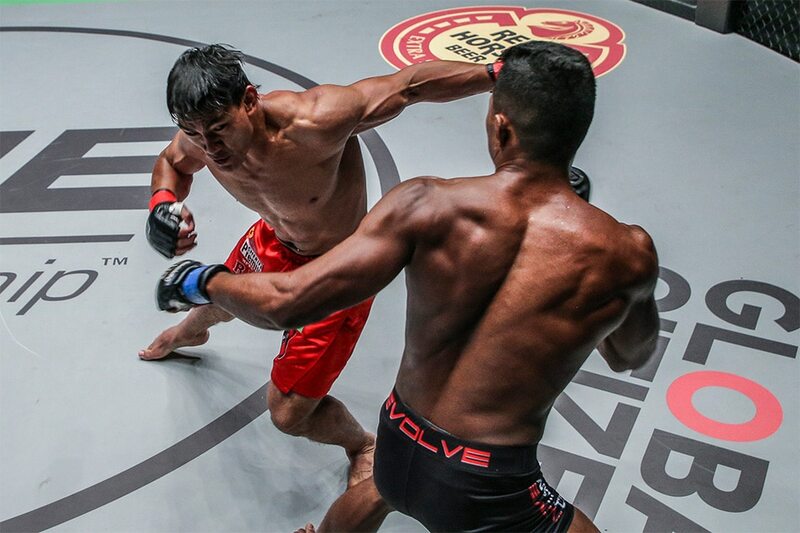 Eduard Folayang never hesitated in trading strikes with the Singaporean knockout artist. The Igorot warrior is not a knockout artist nor a savvy submission specialist, but what made Folayang appealing to the legion of MMA followers is his resilience—his power to overcome the toughest odds and gravest adversities when almost everyone expects him to be counted out. After experiencing an eight-second knockout loss to Guamanian Jon Tuck in his first overseas MMA match in November 2009, Folayang racked up six consecutive victories. 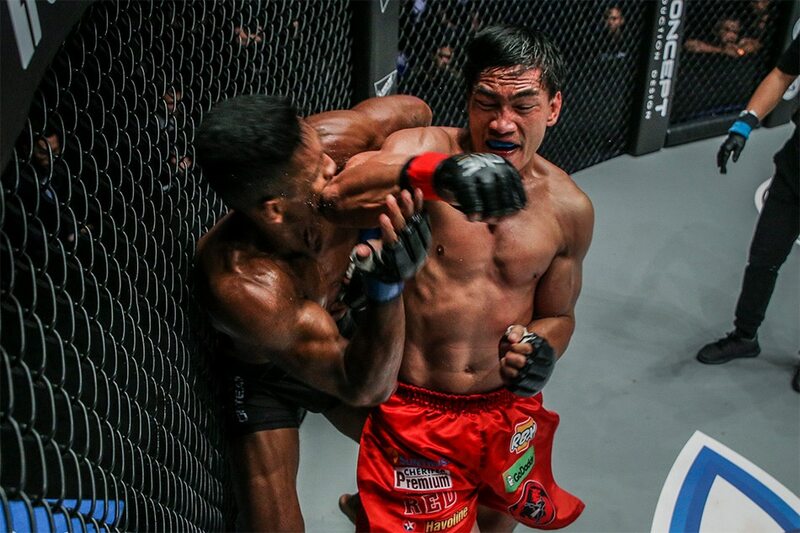 Although he was railed off by Filipino-Danish journeyman Ole Laursen via split decision in March 2012, Folayang did not disappoint when he battled Felipe Enomoto at ONE Championship’s first event on Philippine soil five months later, attaining an impressive win over the Swiss combatant. 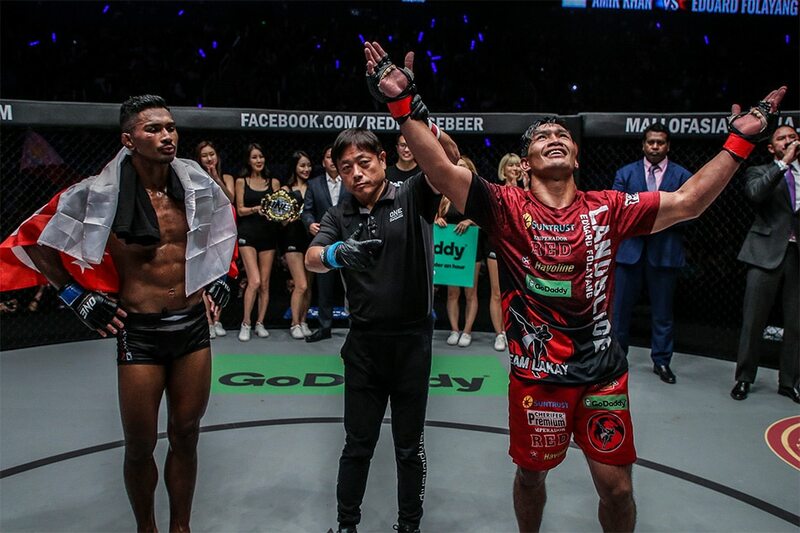 Following back-to-back defeats against Lowen Tynanes and Kamal Shalorus, Folayang sparked a two-bout winning streak, outpointing Vincent Latoel and former lightweight champion Kotetsu Boku. Folayang was sent back to the losing territory by Russian dynamo Timofey Nastyukhin, who turned the lights out on the Team Lakay captain with a flying knee and follow-up soccer kicks in the first round of their December 2014 lightweight encounter. Thirteen months after his harrowing setback to Nastyukhin, he found the verve to rise again and strung together four-straight wins, including the shocking third-round stoppage of Japanese legend Shinya Aoki for the ONE Lightweight World Championship in November 2016. 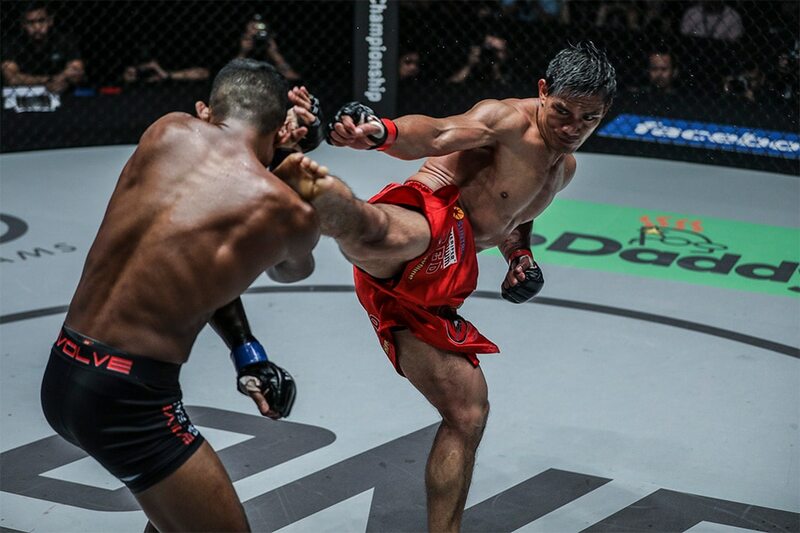 Following a successful world title defense versus Malaysian-Kiwi phenom Ev Ting in April 2017, Folayang then bowed to Nguyen, which raised a few questions about the former’s future in MMA. Eduard Folayang clobbers Amir Khan with a heavy left hook. Despite the hurtful criticism that he received from hundreds of detractors and naysayers, some of whom were his own countrymen, Folayang knew he had to keep competing. Folayang valiantly got back to his feet earlier this year, collecting a pair of wins against undefeated Russian stalwarts before getting another shot at the same world title that he lost to Nguyen—who eventually relinquished the intricately-crafted championship belt due to an injury. With a shot at history and redemption, Folayang capitalized on the chance to prove that he is not yet done in the sport. Avid Folayang-watchers were reminded of the fighter’s younger days as Folayang dominated Khan from start to finish last Friday night at the Mall of Asia Arena, punishing his younger opponent with his signature spinning heel kicks, throbbing right hands, and sharp elbows. 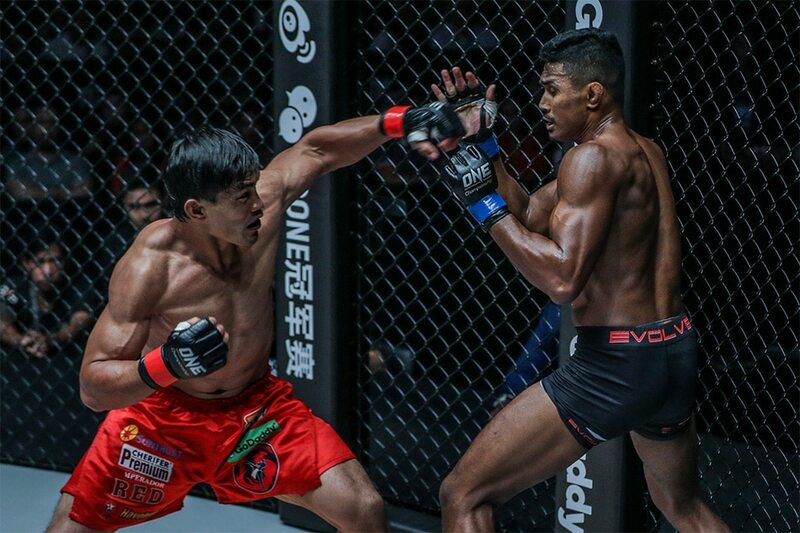 Khan tried his best to counter Folayang’s offense, but the latter was always a step ahead, utilizing his unpredictable timing and trademark lightning-quick combinations. In the end, the judges awarded Folayang the clear-cut unanimous decision. He was crowned two-time ONE Lightweight World Champion. His five-round drubbing of Khan also enshrined him as the fourth Team Lakay member and fifth Filipino athlete to currently hold a gold-plated strap under the ONE Championship banner. It was truly a very sweet victory for Folayang because not only did he reclaim the world title, he also erased the painful memory from the place where his knockout loss to Nguyen occurred. “I believe that I am a martial artist, and as a martial artist, you need to conquer everything you faced in the past. That’s what I did. Now I am here,” he explained. Even if Folayang’s path to becoming a world champion again was laden with challenges, he believes the heartaches fuelled him to where he is now. “It’s a testament that you can bounce back from any defeat. A loss shouldn’t break your spirit. It is meant to prepare you for bigger tasks with a fulfilling reward. It does not only apply to MMA, but also in real life,” he stressed. Like a phoenix, Folayang rose from the rubbles of defeat, proving there is intrinsic value in every ounce of perseverance. It has often been said that no one can put a good man down—more so if that man is Eduard “Landslide” Folayang.